This is (almost) a one-pot meal that’s bursting with punchy flavours – and once the dish is in the oven you can pretty much forget about it. It only needs a few spring vegetables and maybe a minty yoghurt sauce to round it off. Normally I’d use fresh oregano in the herb paste, but mine is barely showing its head above the ground, so I’ve gone with thyme and rosemary. Don’t omit the lemon slivers, they give the lamb a lovely citrusy boost. Pound four cloves of peeled garlic with a pinch of sea salt in a mortar. Add the thyme and rosemary and pound again to make a thick paste. Zest the lemon into the pot then juice half of it. Add the lemon juice and a couple of glugs of olive oil to the paste, whisking to blend. Slice a dozen or so thin slivers from the squeezed lemon half. Cut incisions into the lamb and push the lemon into the slits. 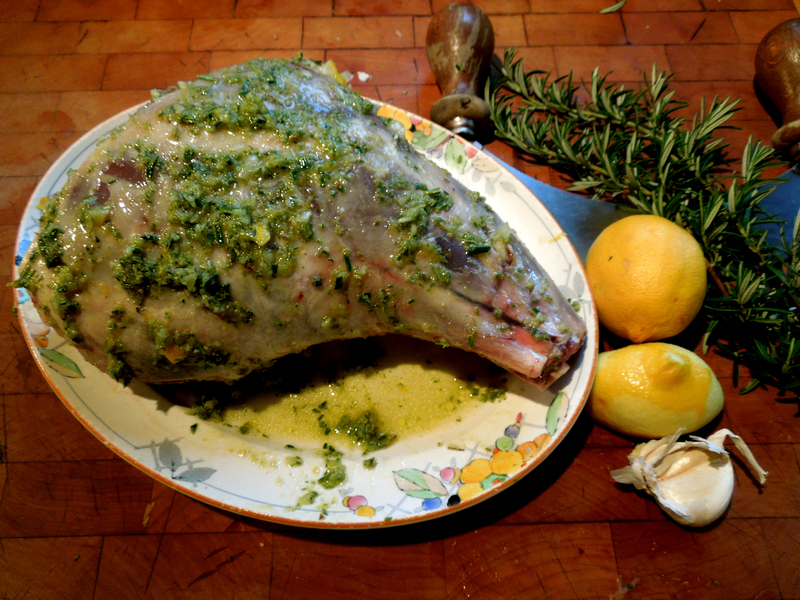 Smother the lamb with the herb paste and leave to marinate for at least a couple of hours or overnight. 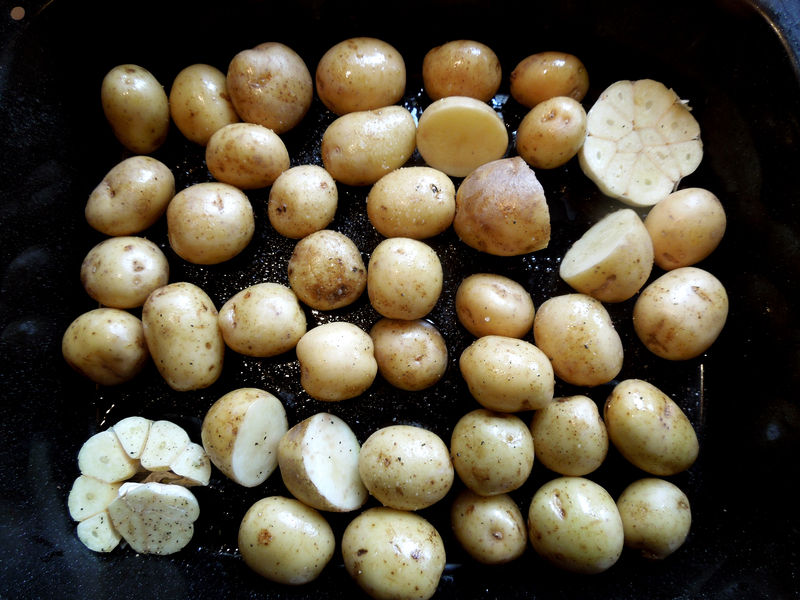 Spread the baby new potatoes over the base of a roasting tin in a single layer (cut them in half if they’re too big), season with salt and pepper and toss with a few tablespoons of olive oil, mixing in any marinade not actually stuck to the lamb. Cut the whole unpeeled bulb of garlic in half horizontally and add to the tin. Then remove the lamb and set aside somewhere warm to rest for 15-30 minutes, loosely tented with foil. Check the potatoes are done and if not, continue to cook while the lamb is resting. When they’re cooked, squish the softened garlic with a spoon, stirring it through the potatoes and discarding the papery bits. For the sauce, mix Greek yoghurt with crushed garlic, olive oil, salt and pepper, whisk well together and stir in a big handful of chopped fresh mint. Given the quantity of garlic elsewhere in the recipe you might want to err on the side of caution here. One fat clove is probably enough. 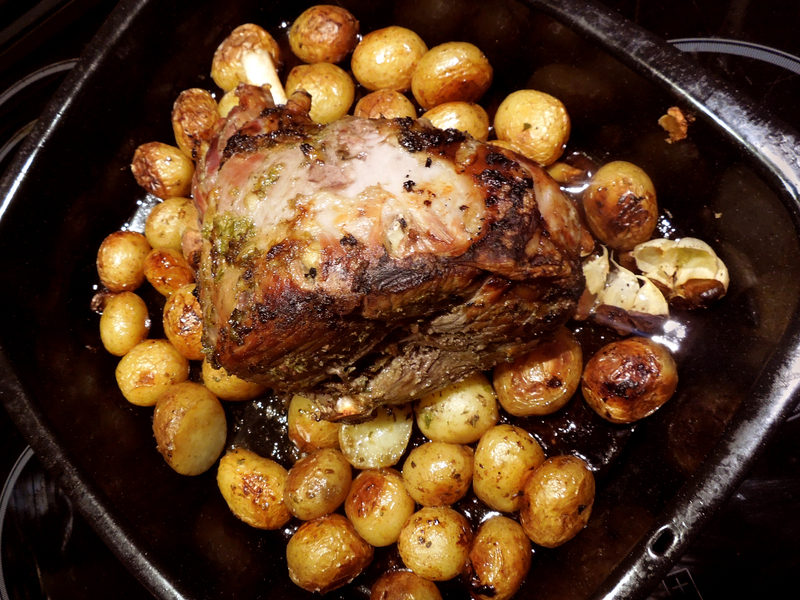 This entry was posted in Lamb and kid, Mains and tagged Easter lamb, Greek roast lamb, Roast lamb with lemon herbs and garlic by Linda Duffin. Bookmark the permalink. Oh. My. Gosh. That looks amazing. Now I want lamb! Go, on, you owe it to yourself! Cheers, Karen. I love beef stew, nothing wrong with that! 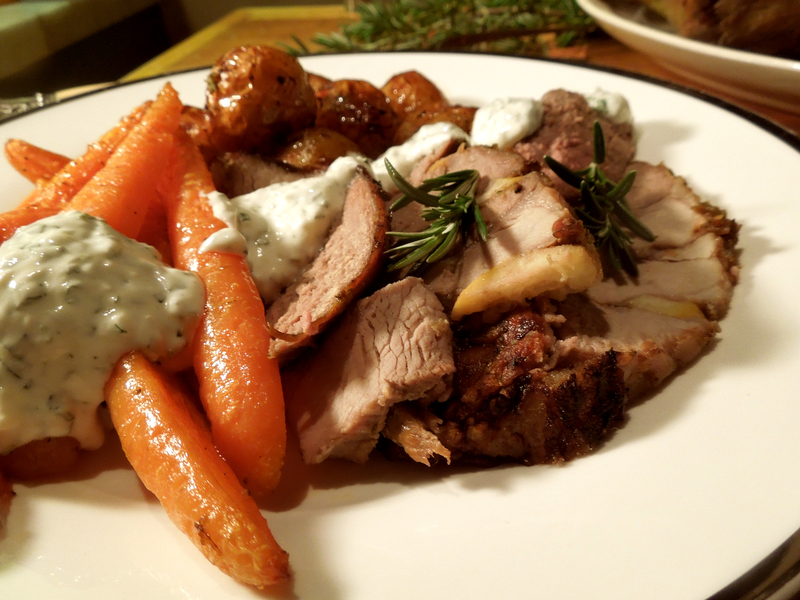 We had a big houseful of family and friends so the lamb was a handy way of feeding the masses. It seemed to go down well (not many leftovers). How good, I could nearly smell the wonderful aroma, I tell you. No five thousand here, so there’s one of the reasons for our boeuf bourguinon, I suppose. Marvellous but not exactly classic Easter fare. N.
The thyme and lemon would add a couple of extra dimensions. Lovely job. Thank you. I really liked the addition of the lemon. 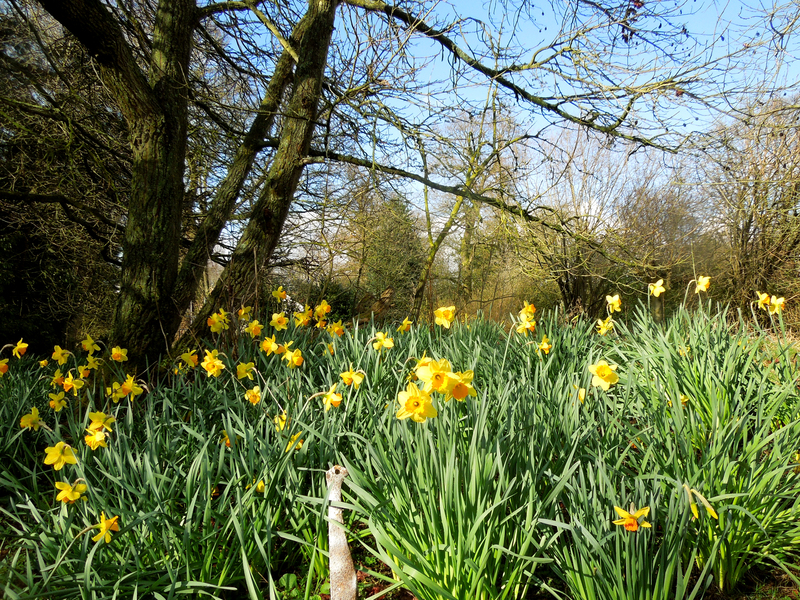 Hope you’re having a good Easter. The recipe sounds great, the photos are awesome. I’m hungry! Thank you for sharing such a delicious recipe! Thanks, Cecilia, glad you like the look it it. It’s making me quite peckish looking back at it too!